Venue: KB322, KB Block, UTAR Sungai Long Campus, Bandar Sungai Long, Selangor. The traditional software development metaphor may not be able to cope with today's rapidly changing industry environment. Thanks to the many open source and cloud computing platform, software development is now more flexible. With smart planning, it will help the team to achieve the targeted results on time. In this talk, the speaker will share the latest best practices and tools for software development team to cope and adapt to this industry's requirements. 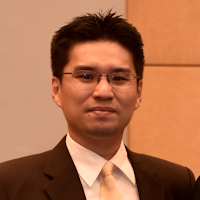 Mr Kenny Khoo is currently the Principal Engineer of Newbridge Wireless International Ltd, taking charge of the product development team. His team's role is to identify new technology and to plan the strategic opportunities for wireless and IoT products. Previously, he was the R&D Manager for Palette Multimedia Bhd and was instrumental in the research and design of the network access controller. Kenny received his Bachelor's degree in Electronics and Master of Computer Science from UTM and UTAR, respectively. Among the professional certificates that he hold are Redhat Linux, Aruba wireless, and MongoDB database.